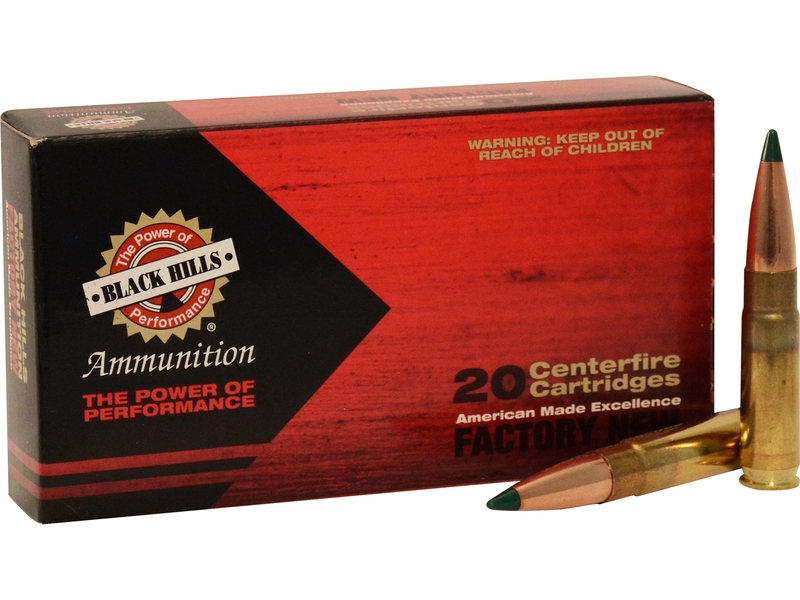 Black Hills produces factory new ammunition equal to some of the best handloads and is quickly becoming one of most popular manufacturers of ammunition. Used primarily by all branches of the United State military, this ammunition is also used by competitive shooters and hunters. MatchKing bullets have very thin jackets and are held to exacting tolerances in diameter and weight. Their accuracy has been acclaimed worldwide and they have been used to win more target competitions than all target bullets from other manufacturers combined. Sierra has enhanced a segment of the MatchKing line by adding the acetal resin tip, thus crowning the Tipped MatchKing (TMK) bullet line. The major advantage of adding a tip to the bullet is the reduction of drag, producing a more favorable ballistic coefficient. Another benefit is reliable feeding in magazine fed firearms. This ammunition is new production, in non-corrosive, in boxer-primed, reloadable brass cases.